Geese and ducks in vast numbers frequent the country about Masset and Virago Sound in the autumn, and for a time form an important item in the diet of the natives. They now shoot them with the flint-lock trade muskets…I have seen a bow, with blunt wooden arrows, also in the canoe, to be used in dispatching wounded but still living birds, and thus to save ammunition. Hunters shot ducks and geese with blunt-tipped wooden arrows, and they continued to use the bow and arrow on some occasions even after firearms were introduced. 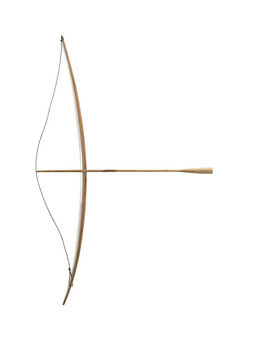 Haida bows were made of yew wood and relatively broad in the middle, tapering to the tips. Men carried their arrows in quivers made of seal or sea otter skin.